Baahubali 2: The Conclusion collection at the box office for the 4th day amounted more than imaginations of trade analysts as the Bahubali 2 movie crosses 500 crores gross income. Baahubali second part is doing better than anticipated business in India. The film has minted out more money than any other releases in entire Indian History. After breaking records of a bunch of Hollywood Movies in the USA, Bahubali 2 collections is heading for another milestone of 1000 crores in 1st Week itself. Check out how much Baahubali 2 box office collection for day 4 is mentioned in the article. Baahubali 2 box office collection: After having an excepted drop on Monday, The film grew in many theaters. The primary reason behind ongoing support continues to the be the widespread release of the movie, great word of mouth, and a partial holiday – May Day aka Labour Day aka International Workers’ Day. Since movie’s ticket prices observed a drop on the weekday, audience increases in the majority of theaters. However, earnings from Tamil version remains unaffected as the ticket price was capped by govt for 150 rs. Counting the early trends, Baahubali 4th Day Collection is going to average mark up the occupancy of more than 60% around the country. Having almost 40% seats booked for the day in advance at PVR’s and Multiplexes will add up to the overall value. Baahubali producers have already earned every penny spent even before the release of film across the country. Earnings from rights selling and other distributor profits already totaled to 500 crores and this is the amount Baahubali earned even before release. Multiple other deals take the total to Rs 500 Crores. Here is the detailed report of each day wise earnings of SS Rajamouli’s film. 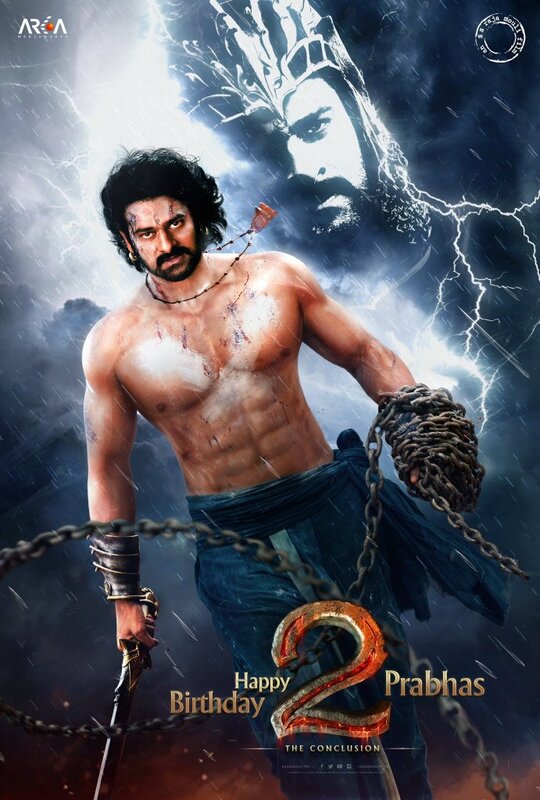 Bahubali 1st Weekend Collection: During the first weekend, Bahubali was successful in minting out 360 crore rupees. The figure is anytime biggest in entire Indian history. For the first time a film is able to cross 300 crore mark within the first weekend of release. It’s the best ever recorded screen bagging by any Tollywood movie in Western countries. Few popular Hollywood movies follow mark of such presence. Almost every theater is going to screen Telugu’s first VFX movie in original 4k Format, while some other theaters are giving more pleasure with world class services to the viewers. It’s hard for any Bollywood star to cross the record of Baahubali. Most of the Bollywood films usually gets a remake from Tollywood and this makes implication on collections as well. There are many records which Baahubali set up with the release in the Domestic and Overseas Market. Here is the quick glance of Box office Records made by the film. There are many other records as well. Film is also heading towards making 1000 crore by the end of 1st week itself. Hardly it should take 2nd Weekend for Baahubali collections to make a milestone with 1000 crore mark for anyone in India. It has also made many international records as well.